You’ve never met a team that is more outgoing, personable and dedicated to helping you find the inspiration you are looking for on your life journey. Want to learn more about us? Check out our bios below and drop us a line! We’re here to make great things happen and look forward to hear from you! When I'm not at The House you can find me: Grabbing an early morning breakfast or a late night coffee, officiating awesome weddings or being silly with my wonderful wife and 8 adorable kids! Rabbi Rafi is a dynamic leader and magnetic personality whose passion for Jewish thought (and humour) has inspired thousands of people from students to business leaders in Canada, the US, Israel and as far as Australia. Having studied in Israel for 4 years, received Rabbinical Ordination from Yeshiva University, a Masters of Education coupled with his business school background, he identified the need and opportunity to transform the perception of Jewish thought and values as relevant and inspiring…and The House does just that! 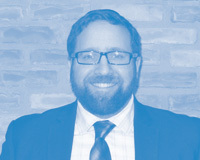 He also serves as Senior Rabbi of Shaarei Tefillah, a midtown Toronto synagogue that is experiencing a huge revival under his new leadership. Favourite movie: Baraka (but I also love Dead Poets Society, Adaptation, Eternal Sunshine of the Spotless Mind, The Believer, The Matrix, Star Wars, Fight Club, Spirited Away, Schindler's List, The Matrix, Rocky, Silence of the Lambs, Serenity, E.T. and Blade Runner, with a shout-out to great TV like Buffy the Vampire Slayer, Firefly, and Battlestar Galactica - the remake not the original disco-era futuristic sci-fi series). Favourite quote: "Roads?! Where we're going we don't need roads!" When I'm not at The House you can find me: on the ice with friends learning to improve my hockey skills or laughing along to videos of the Tonight Show with Jimmy Fallon (and other story content in its many forms). Mike is passionate about the creative process and believes that everyone possesses the power to shape the world around them. 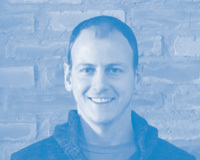 Driven by a desire to help people define and deliver meaningful experiences to their lives, Mike is a sensitive collaborator and relentless visionary known best for his ability to build genuine relationships and fantastic projects that activate all kinds of people and communities. Mike completed degrees in Communication Studies and Education and is a life-long student of innovation, design and engagement practices. 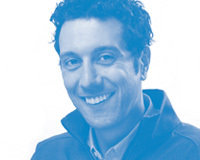 Mike has spent the majority of the past two decades leading non-profit and corporate initiatives. He cheers for the Habs but is happy to finally see a competitive Maple Leafs team again in his lifetime. When I'm not at The House you can find me: spending time with my family, practicing yoga, going for walks while listening to podcasts, dinners with friends, and curled up on the couch with my husband forcing him to watch reality TV! With degrees in Acting and Education, Bonnie is no stranger to being in the spotlight. Her 8 year stint away from Toronto has helped her grow in every way and she is excited to come back to Toronto with her new found wealth of knowledge (and last name!). She is known for her engaging personality, love of networking and ability to have relevant Jewish conversations with everyone around her. After being Program Director for University of Chicago Hillel, Bonnie is ready to be at home and create programs that speak to you! When I'm not at The House you can find me: Hanging out with my kids, family & friends; at a weekly yoga class; shopping for my next fabulous find; watching Survivor; listening to podcasts – and when I’m really lucky, you might find me dancing at a Phish show! Stacey joins The House team after spending 10 years working in her family’s food business as the Communications Manager and resident Cheese Guru! She spent the last decade wearing every type of hat imaginable - from designer to customer service manager, and sales rep to warehouse worker. 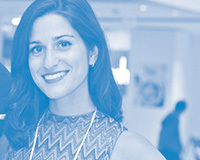 Stacey grew up in Toronto and graduated from a joint program between York U and Sheridan College with a degree in Graphic Design. 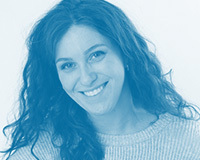 Stacey found her connection to the Toronto Jewish community in undergrad after joining the University of Toronto's Jewish a Capella choir, Varsity Jews. Her love for singing (especially Jewish song parodies!) and passion for the family-like community of the choir led to sticking around for a tenure of over 5 years. During that time, Stacey served on the group's executive board, led all design-related projects, and coordinated one of the choir's annual fundraising concerts. Since retiring from the Varsity Jews, Stacey now gets her yearly musical fix by singing with a small group of old friends on the High Holidays at the Beth Radom Congregation as the Shul's professional a capella choir. Stacey is thrilled to become an ambassador for The House's amazing initiatives and is excited to personally grow with the organization as it continues to inspire young adults to embrace their Jewish identities. Stacey loves to meet new people and find the common thread between them... reach out to her to chat about anything and everything (especially Survivor and surviving new babies!) She can't wait to become part of this tribe! When I'm not at The House you can find me: With my friends and family, dancing...and at other community events. Allie was born in Montreal, raised in Vancouver and Montreal, and has lived Calgary and Toronto. Allie has been involved with the Jewish Community since 2009. Allie graduated from McGill with a Bachelors of Commerce, but rather than practicing in the field, she found her passion lay in Jewish communal work and the non-profit sector. 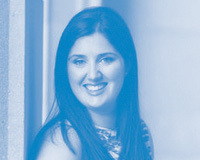 In 2013, Allie moved to Toronto and completed her post graduate diploma in Fundraising Management from Humber College. Over the last nine years, Allie founded a back to school initiative for under privileged children, has chaired many events and committee. Allie was a member of the 2015-16 Toronto Madrich in Training program and has led 4 Birthright Israel trips. Allie has a special place in her heart for The House and is very excited to join the team and for the meaningful work the organization does! Allie loves to network and socialize - you are guaranteed to find her taking a selfie and posting on social media. When I'm not at The House you can find me: Chilling with friends and family, Face-timing my niece and nephews in Israel, and attempting to keep up with my TV shows. After studying in Israel for two years post high school, Chaim returned home to study Communication Studies at York University. Over the past few years, Chaim has been involved with numerous community organizations, having sat on the Hillel student executive, the YP committee for Chai Lifeline, volunteering for Yachad, as well as interning for JLIC (Jewish Learning Initiative on Campus), for all four years of undergrad. With so many community experiences under his belt, Chaim is thrilled to be a part of an organization that is devoted to educating young adults just like him. When I'm not at The House you can find me: With my favourite people in the whole world – my wife and 3 kids! Coby is passionate about engaging community members in innovative and hands-on volunteer projects that make a real impact on both the volunteer and the individuals on the receiving end. 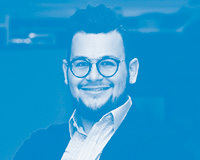 He is continuously looking for ways to actualize Jewish values which bring further personal growth, meaningful experiences, and connectivity to Judaism and the community at large. By day, Coby works in advanced engineering development at Motorola Solutions and is a devoted husband and father of three.